Have curly hair and are looking for a good conditioner? Washing curly hair every other day with shampoo and conditioner can dry them out and make the curls lose their shape. Many people with curly hair try co-washing with plain water and conditioner to cleanse their hair and maintain their curls easily. There are very few good conditioners for curly hair that define the curls and make the hair look clean and fresh without weighing them down. Available in two sizes, the Ouidad conditioner is formulated to nourish the hair and hydrate them. It has a moisturizing formula and makes the curls look healthy and defined. Regular use helps to detangle the curls and provide a moisture barrier to the hair. The formula is light in terms of texture and is enriched with proteins that repair damaged hair. The moisturizer is suitable for all types of curly hair including color-treated hair. The price is moderate as compared to the quantity. The formula of this conditioner is intensely hydrating and nourishes the curls from the roots. It contains proteins and botanical extracts that repair dry and damaged hair. it is suitable for all types of curls and works well on coloured hair also. It takes some time to rinse the conditioner out of the hair because of the thick texture. The conditioner can make the hair feel heavy if more product is used than required. This conditioner is suitable for dry to very dry curly hair and has a hydrating formula that conditions the curls from the roots and not just on the surface. It has a soothing scent and contains botanicals that are very beneficial for the hair. If you are looking for a leave-in conditioner for curly hair, this product from Bella Curls is a good option. It is formulated using natural coconut oils that reduce frizz and improve shine. It comes in a convenient pump packaging and the quantity is good as one bottle lasts for 4-5 months. The conditioner is very hydrating but does not make the hair look greasy or heavy and is suitable for coloured hair as well. The price of the conditioner is affordable as compared to other variants from different brands. The consistency of the conditioner is very lightweight and adds a natural shine to the hair. It comes in a convenient pump bottle and the quantity is good for the price. Coconut oil helps to repair dry hair and makes the curls look nourished. The packaging is a bit bulky for travelling purposes. Only a bit of the product needs to be used otherwise the hair can feel greasy. This leave-in conditioner works very well on tight curls and gives definition to the curls while nourishing them. It also protects the hair from further damage and is quite affordable. Made with rice milk and macadamia oil, this conditioner is designed to repair the hair and reduce breakage. It contains natural oils and butters along with antioxidants that prevent environmental damage. The formula also uses green tea extracts, rosehip seed oil, and avocado oil to keep the curls in shape and enhance their natural shine. The conditioner has a very soothing and pleasant scent that lingers in the hair for quite some time. The price is moderate as compared to the quantity. The packaging is quite compact and travel-friendly. The conditioner is very gentle on the hair and uses natural oils to nourish and repair the curls. It has a pleasant scent and makes the hair look shiny and bouncy. The price of the product is a bit higher than other variants offering similar quantity. It can leave residue in the hair if not rinsed properly. The formula of this hair conditioner is so smooth and lightweight that it coats all curls evenly and makes the hair feel soft and healthy. It has a very pleasant fragrance and comes in a cute packaging. Designed for frizzy curls, this leave-in conditioner contains amino acids, safflower oil, jojoba seed oil, evening primrose oil, and silk amino acids to improve the manageability and texture of curly hair. It also works well on protecting the hair from heat-related damage and strengthens the hair with regular use. The consistency of the conditioner is very lightweight and it provides a good hold to the curls if used properly. The quantity is good and the product is available in two sizes to choose from. The price is moderate. The conditioner reduces frizz and improves the manageability of the hair. Amino acids and seed oils repair the hair and strengthen them if used regularly. It takes only a few minutes for the conditioner to get absorbed into the hair. You need to brush the hair using a wide-toothed comb to distribute the product into the hair. It takes some time to show effective results on very dry and frizzy hair. It is very beneficial for reducing frizz from curly hair and makes them look soft and smooth. The conditioner coats the hair evenly and leaves a pleasant fragrance in the hair. Suitable for daily use, this curl-enhancing conditioner from Eufora keeps your curls in the right shape without weighing them down. It has a very gentle formula that does not damage the hair with regular use. The conditioner comes in a pump packaging and the quantity is good for the price. The formula coats the hair evenly and is easier to rinse than other conditioners. It has a faint fragrance that does not irritate the scalp. The price of the conditioner is reasonable as compared to other variants. The formula is gentle enough for daily use and protects the hair from further damage. It detangles the hair easily and does not leave any residue in the hair. The conditioner does not weigh down the hair and leaves them smelling fresh. It might not be very suitable for very fine curly hair as the formula is thick. The quantity of the conditioner is lesser than other conditioners. It is a great conditioner for daily use and adds softness to the hair. The formula is very gentle and detangles the hair well. The packaging is also very convenient and the conditioner works well for all types of curls. TIGI is a well-known brand when it comes to haircare products and this leave-in moisturizer is designed specifically for curly hair. It comes in a funky packaging and has a pump on top to dispense the product. It has a soothing fragrance and is quite light in terms of texture. It controls frizz well and has a thin consistency that covers the curls easily. The formula is quite nourishing and does not cause any product build-up in the hair. The price of the conditioner is moderate. The conditioner has a thin and light consistency and suits all types of curls. It comes in a fancy packaging and the pump dispenses the right amount of conditioner. It has a very soothing fragrance and reduces frizz instantly. The formula contains a few chemicals that can damage the hair. The bottle of the conditioner is not travel-friendly. This leave-in conditioner from TIGI is great for keeping the frizz under control and to make the hair look naturally shiny. It has a lightweight formula which does not feel greasy on the hair. If you are looking for an affordable conditioner for curly hair, this product from Dove works well. It comes in a standard bottle packaging and contains Buriti oil that is rich in nutrients and proteins. Regular use helps to reduce hair breakage and improve the shine of the curls. The conditioner has a creamy consistency and locks the moisture in the curls to define them and hold their shape. The quantity is reasonable and one bottle lasts for 2-3 months if used twice a week. The price is affordable. The conditioner contains Buriti oil that nourishes the hair from root to the tip. It is affordable and the quantity lasts well for a few months. The formula is suitable for daily use and reduces hair breakage with regular use. The formula can make the hair look greasy if not rinsed properly. It is not suitable for very fine hair that need a lighter formula. 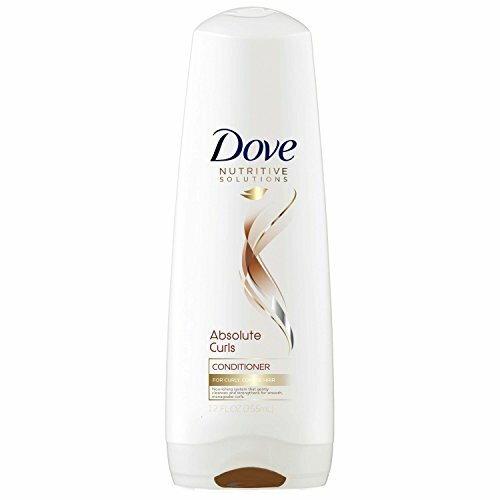 The Dove Absolute Curls conditioner not only nourishes and moisturizes the hair but also prevents hair breakage by strengthening the hair structure. It contains nourishing oils that help in maintaining the curls. One of the most affordable hair conditioners for curly hair, this natural Tahitian conditioner is very beneficial for maintaining dry curls. It is formulated with 98% naturally derived ingredients and does not contain parabens or sulphates. The conditioner contains mango butter and Tahitian Gardenia flower extracts that add a natural shine to the hair and nourish the curls by penetrating deep into the hair shaft. The quantity is very good and the affordable price makes this conditioner great for frequent use. The conditioner comes at a very affordable price and the quantity lasts for 5-6 months easily. Mango butter nourishes the curls and repairs damaged hair. The conditioner is formulated without parabens and sulphates. The packaging is a bit bulky for handling purposes. It does not have a very hydrating formula so it is not suitable for very dry hair. This is one of the most affordable conditioners for curly hair you can find in the market and works as well as some of the other expensive conditioners. It has a creamy texture and comes in a pump packaging for daily use. 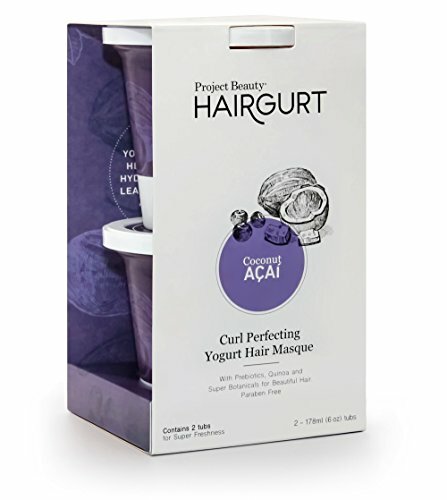 More of a hair mask than a conditioner, the Hairgurt deep conditioner contains acai berry extracts, coconut, and yogurt protein and is free of sulphates and parabens. The conditioner has a thick consistency and a very pleasant fragrance. It also contains a blend of botanical oils that repair the damaged hair and enhance the shine. The formula is also suitable for coloured hair and improves the staying power of the colour. The price is high and the tub packaging is quite convenient. The formula works as a deep conditioning hair mask and revives dull and lifeless curls. It is very nourishing and contains botanical extracts that add a soothing fragrance to the formula. The conditioner is formulated without parabens, sulphates, and other harmful chemicals. The tub packaging is a bit unhygienic as the product can get contaminated. The price of the conditioner is higher than other conditioners. This is a very hydrating conditioner and is good for deep conditioning your hair occasionally. It might feel a bit heavy on fine hair but leaves the hair very soft and frizz-free if used regularly. 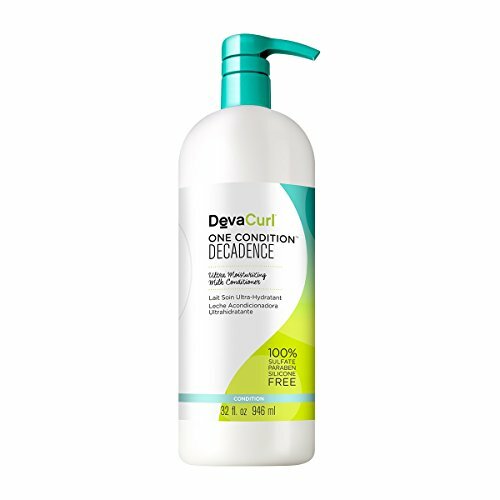 Formulated using quinoa proteins, chufa milk, and herbal extracts, the Devacurl conditioner is designed for naturally curly hair. It is available in six sizes and is free of silicones, parabens, and sulphates. The product comes in a pump bottle and the quantity is good as one bottle lasts for 5-6 months depending on the usage. The intensely nourishing formula works well for dry hair and is easy to rinse. It does not leave any residue in the hair. The price is high but the quantity is much more than other conditioners. The milk-based formula is very soothing for the hair and moisturizes the curls effectively. It has a soothing botanical scent and comes in a convenient packaging. The quantity is very good and only a small quantity is needed for medium-length hair. The price of this conditioner is higher than most other conditioners. The consistency is a bit thinner than other conditioners. The formula works really well on naturally curly hair and is very gentle on the curls. It defines the shape of the curls with regular use and comes in a very convenient packaging with good quantity for the price. Always rinse the conditioner well from the hair with cold water to avoid frizz and residue build-up. Start with a little quantity of the product when using a leave-in conditioner and then take more product as required. Avoid using conditioners that are very heavy in terms of texture as they can weigh down the hair and alter the shape of the curls. Go for a pump packaging as it is more convenient to use and reduces product wastage. You can opt for co-washing your hair to avoid using shampoo every day by simply washing the hair with plain water and then applying a lightweight conditioner to the hair. Check the label of the product to see if it contains parabens or sulphates as these ingredients can be damaging for curly hair. Gently comb through the hair with your fingers with conditioner in your hand to distribute the product uniformly within the hair. Buy a deep conditioning hair mask from the same range and alternate between the mask and the conditioner to provide intense nourishment to the hair. These are the top ten hair conditioners for curly hair that have very gentle formulas and are quite nourishing. They work well for all types of curly hair and are known for their effective results. Regular use helps to reverse hair damage and improve the manageability of the curls. The lightweight formulas do not weigh down the hair also. These tips will help you get more benefits out of these formulas so that you can flaunt your curls freely. Which is your favourite conditioner for curly hair? Is it possible if I leave conditioner in curly hair? It’s acceptable to leave some residue when you rinse out but not leave full of conditioner. However, I suggest you to know more how to enhance your curl. First, try to co-washing. Next, use sulfate-free shampoo. Then, massage and blend the shampoo into your hair. Finally, you don’t rub your hair with towel. I want to know if there are some ingredient that I should avoid in curly hair shampoo? Ammonium Lauryl Sulfate or Sodium Laureth Sulfate (SLES), Sodium Lauryl Sulfate (SLS), Parabens, Sodium Chloride, Polyethylene Glycols (PEG), Formaldehyde, Alcohol, Synthetic Fragrances, and more. I’m addicted to Ouidad Curl Quencher Moisturizing Conditioner. I use Eufora Curl’n Enhancing Conditioner which I can see visible result.